Richard enjoys a well balanced musical life style which encompasses all the essential elements of a musician and instrumentalist of the 21st Century. He studied violin and viola with Nicholas Roth at Trinity College of Music (now Trinity Laban) and went on to work with the BBC National Orchestra of Wales, Royal Philharmonic Orchestra, London Mozart Players and the original London Soloists Ensemble. 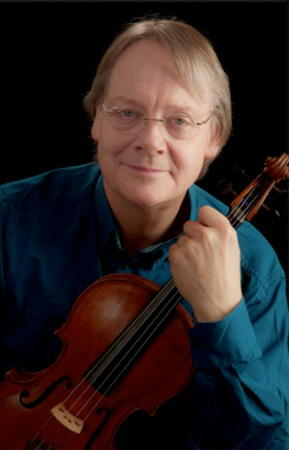 Later as principal violist and soloist, he performed with the London Soloists Ensemble, Wessex Sinfonia, Clifton Virtuosi, Orchestra of the Swan, English National Baroque and the Emerald Ensemble. Richard is a solo commercially recorded artist and has broadcast on BBC Radio 3, 4, Classic FM and Greek RTA. He has also recorded solo sound tracks for television documentaries with BBC 1 and 2, ITV and Channel 4.
the UK and Europe, including a major tour of Turkmenistan. This was organised by the British Council and Turkmenistan’s Ministry of Culture for the Makhtumkuli Festival. His performances were televised throughout the State, and Richard has the distinction of being the first British musician to perform there since Glasnost. Internet lessons using Skype and FaceTime are another feature of Richard's work. Students from thirteen countries regularly benefit from the flexibility of internet lessons. His younger students gain scholarships to prestigious schools in the UK, have won first prizes at National and International Competitions, and gain places with the National Youth Orchestras of England, Wales & Ireland. Richard's most gifted Postgraduate students procure positions with major Orchestras in London, throughout the UK and abroad. Young professionals return for refresher lessons when preparing for auditions. master classes, individual coaching and chamber music for the organization Language and Music for Life www.lmfl.org. 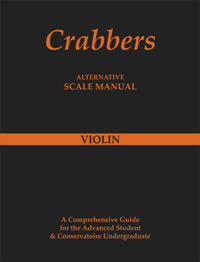 In 2011 he produced the Crabbers Scale Manual for Violin, Viola and Cello. This unique system uses letters and numbers and is specifically designed to help students who have difficulties learning scales. He is also on the teaching faculties at Bristol, Bath and Goldsmiths' Universities. Richard & Rosalind have two sons and a daughter.